Social media – now more than ever – is a huge driver of our lives, our livelihoods and our aspirations. Without an effective strategy that incorporates social media efforts, many brands and businesses will fall flat on their faces. Social media can be used just as effectively by brands as it can by individuals, but the strategies that generate great success stories are often different. Interacting with your target audiences on social media in a productive way is perhaps the most important component of these efforts. Twitter chats can be a highly effective way in which to learn more about your customers and fans, and therefore can be used to build better results. We’ll discuss today how you can prepare for a productive and useful Twitter chat. It’s generally not a good idea to jump into something new without gaining a little bit of experience first. How can you do that? Try joining others’ Twitter chats first! By learning about how the process works, you can figure out what are the best approaches for your own efforts. Figure out how moderators handle the chat, learn how the nature of the conversion can change from minute to minute, and familiarize yourself with the overall experience. This can be very useful in producing a welcoming and productive environment for those who will be participating in your own Twitter chat later, whether you’ll be engaging users, pinging links or answering questions. If you are hosting a Twitter chat on behalf of your brand or business, then it may prove to be a bit difficult to encourage random people to engage. This basically means that you need to be very careful in selecting a topic that encourages engagement. Most people aren’t going to want to join to talk about your brand in a generic sense, but you can find plenty of ways to engage people on a broader topic that relates to it. If you are hosting a Q&A session or something that naturally produces curiosity, then you may not run into this problem. Nevertheless, always be aware of your target audience and select a topic that really resonates with them. In order to have a great Twitter chat, the first important element is to ensure you pick a great hashtag and promote it accordingly. You’ll want to use something that is relatively unique and that is noticeable to those who see it. It should be short and to the point. Likewise, be sure to claim ownership of the hashtag by registering it and associating it with your brand. You’ll additionally need a strong and competent moderator or two who will run the chat and keep things running smoothly. From filtering questions to preventing spam, it is essential that you select a moderator who is able and willing to perform the role of good cop and bad cop. So many people have found value in Twitter chats. 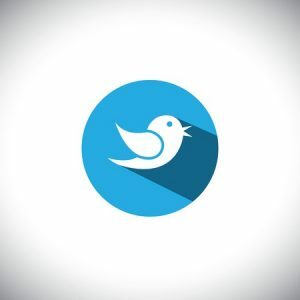 Whether they use it for starting discussions, interviewing experts, pinging links about their products or something entirely different, it can be a godsend for brands seeking more exposure on Twitter. Have you used Twitter chats before? Let us know your thoughts about the service.